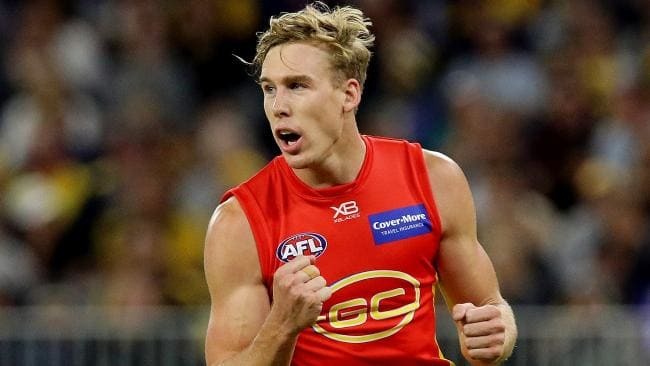 COLLINGWOOD coach Nathan Buckley has confirmed the Pies have met with Gold Coast star Tom Lynch in a bid to lure him to the club. Lynch, widely tipped to leave the Suns for a Melbourne club on a multimillion-dollar long-term deal, has interest from the Pies, Richmond and Hawthorn. The 25-year-old key forward was spotted at Melbourne Airport earlier this month with Richmond football boss Neale Balme. Buckley said on Nine's Footy Classified he had met with Lynch personally. "Look, I think to be transparent, I think more clubs these days are very proactive about improving their lists and about wanting to give themselves the best chance to contend," Buckley said. "Not just in this season but in seasons beyond. So, in season, we make no apologies for being a club that wants to be as competitive as we possibly can in the future. "We understand there are other clubs that are going about their business in the same manner." "Any club needs to consider where they think they are at, where their salary cap is at. "Tom Lynch is a player that I can see fitting into our structure really well and making us a better team. "So if that is an indication of our interest in him, well then so be it. "I don't think there are many coaches that wouldn't want him." The revelation will only pour more fuel on the belief Lynch will leave his club at season's end. The off-contract forward had successful surgery on his troublesome knee in Melbourne last week and will miss the remainder of the Suns' season. 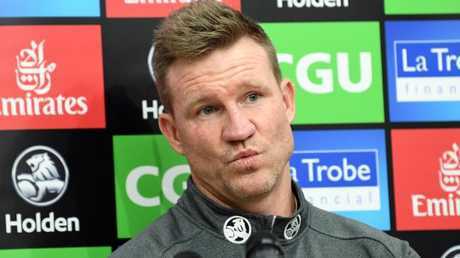 Coach Stuart Dew last week said he has "parked" discussions about Lynch's future for now but fears he may have played his last game for the struggling franchise, admitting the club's prospects of keeping him are "not looking great".